Each cushion in the Canvas Deep Seating Cushion Set is hand sewn using Sunbrella<sup></sup> fabric exclusively. Sunbrella<sup></sup> is the industry leader in quality outdoor fabric and offers a five year "Arizona Sun" warranty. The deep seating cushions have a fibre wrapped foam core that is the ultimate in comfort, plus, all cushions are reversible. 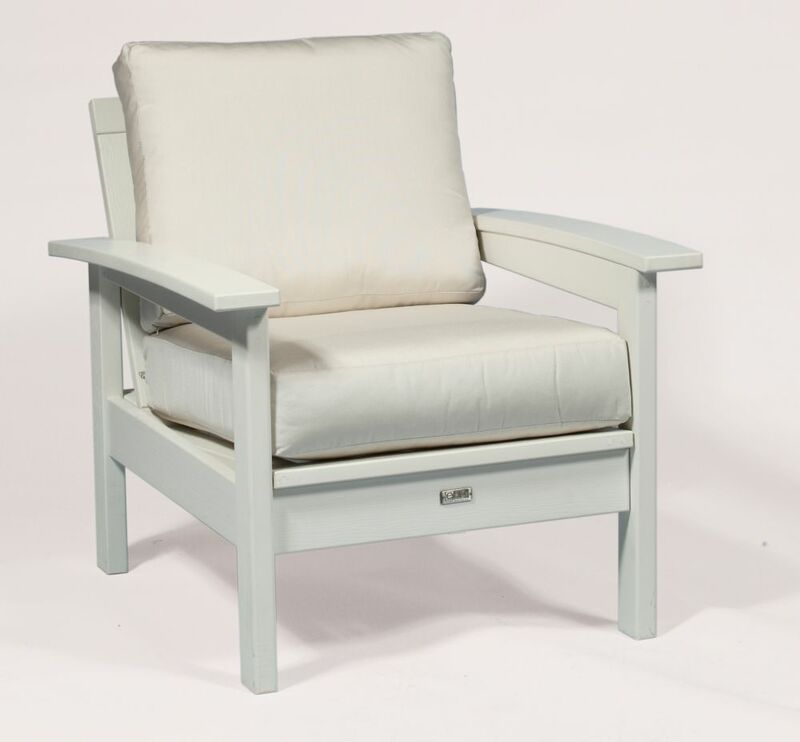 Canvas Patio Deep Seating Cushion Set in White Each cushion in the Canvas Deep Seating Cushion Set is hand sewn using Sunbrella<sup></sup> fabric exclusively. Sunbrella<sup></sup> is the industry leader in quality outdoor fabric and offers a five year "Arizona Sun" warranty. The deep seating cushions have a fibre wrapped foam core that is the ultimate in comfort, plus, all cushions are reversible.